Music in Christian worship is a means of prayer, proclamation and offering. It is in response to the goodness of God which engages the whole self in prayer. Our church has a choir program that encompasses all ages, and it purpose is to enable and enhance congregational song. The choirs for youth and children serve an educational function, teaching the great hymns of faith, musical literacy, and serving as worship leaders. Handbell choirs and instrumentalists offer their talents to lead prayer. Liturgical dance and drama are also expressions through which we respond to the Gospel. Our worship and music programs are greatly enhanced by two pipe organs. 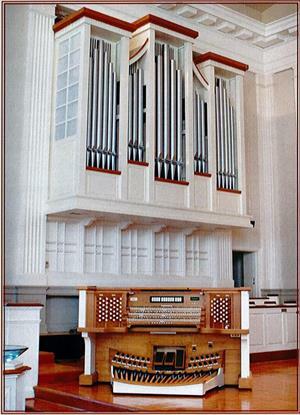 The Lingle Chapel is home to a one-tracker organ built by Martin Ott in 1991. Click here to read about the Ott organ. The sanctuary holds a newly rebuilt Wicks organ with a new console, new facades on both sides, with forty percent of the pipes being new. 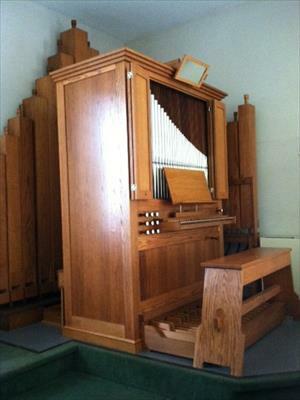 For more information on the Wicks organ, click here.